Last but not least, the final wallpaper in this character-centered series teases the bosses Dudebro will have to face throughout the game. 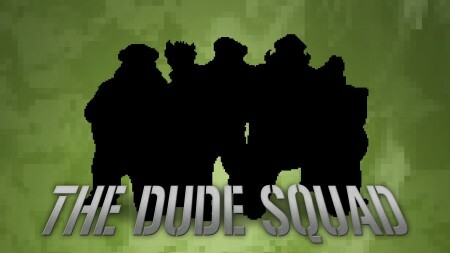 Even though they’re just depicted as a silhouette here, their faces will certainly be easily recognizable to him. The weekly updates will now take a break for the Summer, and will resume every Monday, as usual, starting September 5th. This entry was posted on Monday, August 1st, 2011 at 7:00 am	and is filed under Main News.